Motorola MotminiVPC, Mini USB Car Charger, For use with Q, V3, V325 Phones, New! 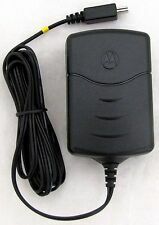 Motorola MotminiVPC. 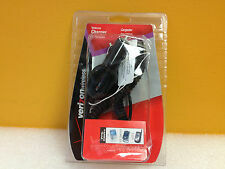 For use with Q, V3, & V325 Series Phones. NEW OEMMotorola SPN5404A/SPN54. Care for your new product. Lithium Ion Batteries have a shelf life of up to 10 years and with proper care, should last 12 – 24 months. This has a mini-USB connector. Never used. 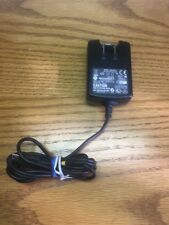 Features: Original 6ft Power Cord. No Minimum Order! Excellent, used condition! Item is fully tested and functions properly! 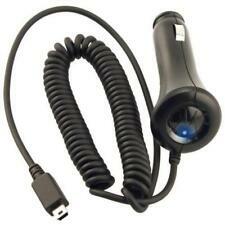 It plugs into your cigarette lighter and and can be used for charging devices with a mini-USB port. We are in no way giving you any right to use any software whatsoever. 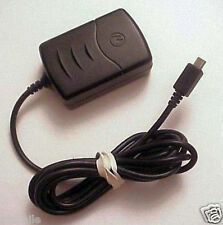 Its built-in IC chip prevents overcharging and short circuit, thereby protecting your cell phone. 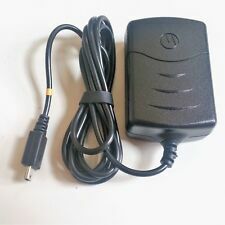 Works with devices with mini USB connection (check the last photo). Model: FMP5202C. Part No: SPN5202C. 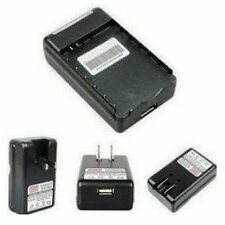 Compatible with: Motorola V3, V3a, V3c, V3i, V3m, V3s, V3t, V3r, V3xx, RAZR Maxx Ve, VE465, Q, Q9c, Q9m, C290, SLVR L7c, SLVR L7, SLVR L6, SLVR L2, PEBL U6, i290, i425, i335, ic402, ic502, ic602, ic902, i876, V190, V195, V235, V325, V360, V365, V323i, RIZR Z3, MOTO EM330, MOTO VU204, MOTORIZR Z6tv, ROKR Z6m, KRZR K1, KRZR K1M, Tundra VA76r, VE240, W230a, W315, W370, W385, Active W450, W490, W755, Surf A3100, Bali and Rambler phone models. BK10 (SNN5793A), BK70 (SNN58328), BT50 (SNN5771), BT51 (SNN5814A), BT60 (SNN5782A), BT60 (SNN5744A), BT61 (SNN5820A), BT90 (SNN5759), BT90 (SNN5826) and BQ50 (SNN5804A). Fully tested in perfect working condition! Get a spare and always make sure you are running on full power! I am not responsible for what might happen to the electronics part/s after the item is received in the working order described. Tested and working properly. I am not responsible for what might happen to the electronics part/s after the item is received in the working order described. Small and lightweight for convenient portability and storage. 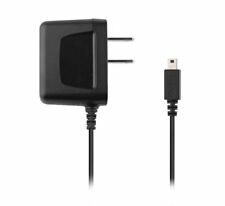 Provides power to your phone while simultaneously charging your phone's battery. These are all Motorola approved devices. Model # is FMP5202A, Part # SPN5202B. I have several of them and you can get one or more!